Rethinking Faith and Church: Christian Money? Now wait a second, you wouldn't be implying that they are using the Savior as a marketing tool, would you? Technically speaking not only isn't a corporation/ denomination "Christian", the believer on Jesus isn't "Christian" either. The world first called the believer on Jesus "Christian" in Antioch, but that is not what God declares us to be in His Word. God declares us to be the church of God (1 Cor.10:32). We are the LIVING body of Christ, individually as well as collectively. WE are the church! The distance between those who do, and those who just don't get it. Using the word "Christian" as an adjective (which it was never intended biblically), creates an "us" versus "them" mentality. 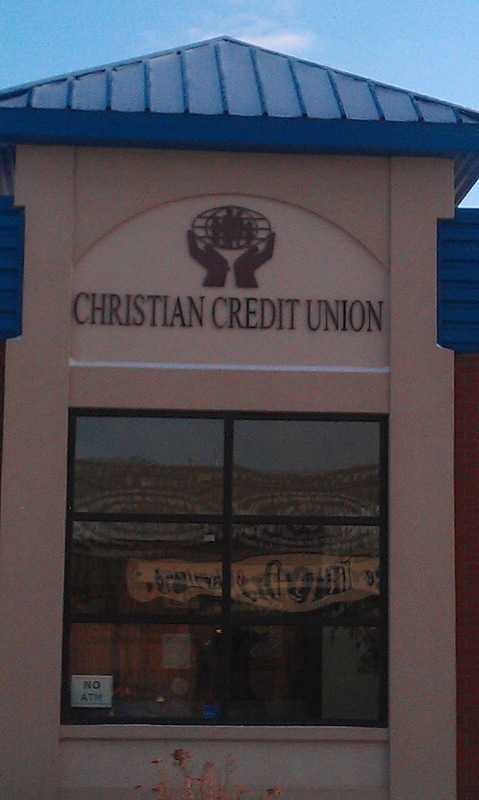 How about: "Follower of Jesus Credit Union" ? um . . .never mind . . .